Chanelle Hardy is an attorney, social justice advocate and tech policy expert dedicated to advancing policies and leaders that promote opportunity and justice. 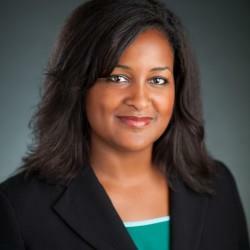 At Google, Chanelle serves as strategic outreach counsel and head of policy partnerships for civil and human rights. In 2016, she launched the Google next generation policy leaders learning community to identify, equip and engage the nation’s emerging leaders in tech and justice policy. Prior to joining Google, Chanelle served as a chief of staff on Capitol Hill, senior vice president of policy for the National Urban League and chief of staff to the first woman chair of the Federal Communications Commission. She is a former 5th grade teacher and consumers union fellow and she serves on the board of the Joint Center for Political and Economic Studies. Chanelle majored in English and music, received her law degree from Howard University School of Law and her Nonprofit Management Certificate from Georgetown. She is an alumna of the American Council of Young Political Leaders and the Skinner Leadership Institute’s Masters Series for Distinguished Leaders, and a member of Reid Temple North, African Methodist Episcopal Church. The oldest of six children, including a missionary, a wellness expert, a mom, a teacher and a college student, Chanelle is deeply devoted to her family and community. She enjoys quilting and interior design and is an unabashed bookworm and sci-fi fan.